It is always recommended that you spend some time on your own and the best thing to do is travel alone. 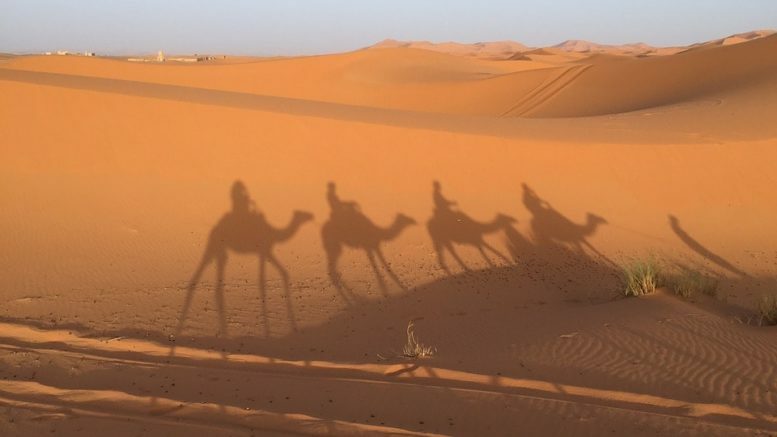 If you love to wander alone, Morocco is one such destination for females to travel. Howbeit, you will have to follow certain protocol there but you will have an amazing time in this new country. Females especially need this lone time. Generally, they are so packed with things to do every day that a break in the monotonous routine is a must. Do remember that when you are out on streets, you are bound to grab the attraction of many men out there. This attention can become a little uncomfortable to you and you might listen to some sensual comments as well. This happens to the local ladies as well and there is nothing you can do about it. As a foreigner, it is advised that you cover your head and face with some scarfs so that your face is not visible and try to walk with some foreigner men as when the local see you walking with someone, they will not trouble you. You will find the climate hot and dusty in Morocco and of course, you would want to wear sleeveless, shorts etc. but these dresses are not ideal in the country. Rather go for some pastel colours full dress and the idea of putting on scarfs is good as well. Exploring a country alone is the best experience a woman can have. This activity will also empower you from within and boost your confidence. Morocco is a safe country and there is no harm to your dignity or your life. You can stay as peacefully as you can. Still, if you are little hunched back over the thought of travelling alone, buck up your girl’s gang and plan a trip. Your girl’s gang will rock in Morocco for sure. For lone travellers, you can join a travel group, which is led by a group leader so that you will not be lost and you will always have a group to back on. As Morocco is close the Sahara desert and the climate is dry and hot, the best time would be spring and autumn. Somewhere between March to May would be suitable for you. This is the time when you will notice lush green lands and you can indulge in some spectacular mountain hiking. The country is not very expensive and hence as a lone traveller, it will not cost you more than INR 60,000. Be the first to comment on "Your Lone Travel to Morocco"